An event directed to sport-specific motor abilities. Sport-specific strength and endurance of the finger flexors are among the main factors of performance in climbing. If you are interested to improve your climbing ability, then this event is what you are looking for. Through a series of practically orientated lectures and seminars for testing decisive abilities, conducted by specialized scientists, climbers will become familiar with sport scientific and medical aspects of climbing and will get practical advice about training, nutrition and injuries. The participation is free of charge but there is a limit on the participants. Make sure you register in time. Furthermore, in order to obtain objective results, the participants to the workshops should not climb at least 24 hours prior performing the tests. Thomas is Professor for Travel Medicine, Aviation Medicine, Sports Medicine and Occupational Medicine at RWTH Aachen Technical University / Germany. He is also Professor for Physiotherapy at Aachen Technical College. He is working as rescue physician and at emergency departments or intensive care units of regional hospitals. For 6 years he was the rescue physician at the heliport of Air Zermatt / Switzerland. Since two decades he is member of the UIAA Medial Commission and coordinates its “recommendation group”. He is also TUE officer of the anti doping commission of the International Federation of Sports Climbing (IFSC). His scientific work includes more than 350 papers, 15 books and 590 key note lectures. His main focus of research is aspects of accident and emergency prevention in outdoor sports and health and safety in mountain rescue. Audry is a registered nutritionist and a climber. She has a special interest in climbing metabolism and nutritional issues related to improvements in all types of climbing performance. She is a corresponding member of the Medical Commission for the UIAA (International Mountaineering and Climbing Federation). She has co-authored scientific papers on climbing physiology, performance and injuries, and contributed chapters to ‘Moderne Berg-und Höhenmedizin’ (2010) (‘Modern Mountain and Altitude Medicine’), a guidebook growing in popularity translated into English and 2nd edition out 2015. 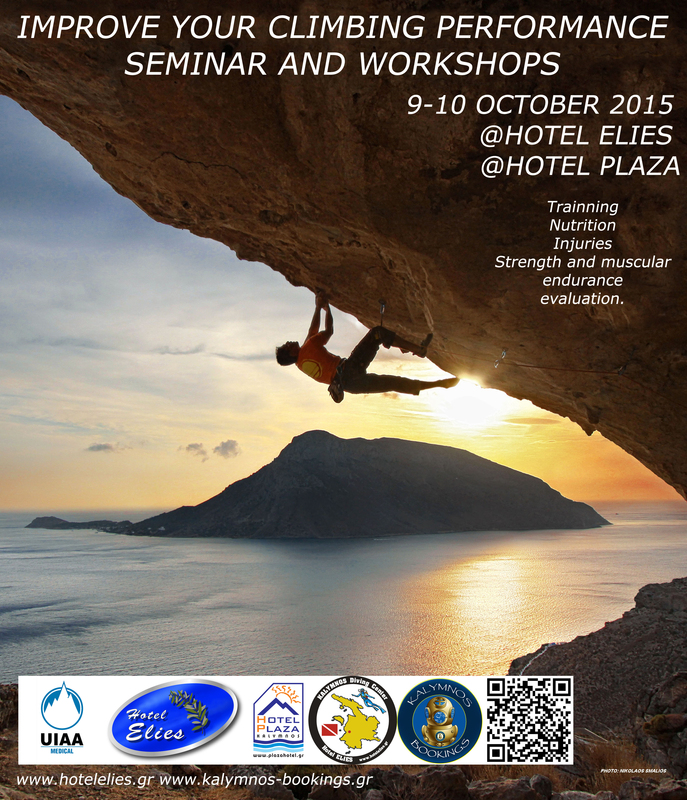 Audry has been a keynote speaker internationally on climbing metabolism at sea level and at altitude. Jiří is a lecturer at Outdoor sports department and exercise physiology researcher. He has published more than 20 scientific papers on climbing related topics with focus on performance diagnostics, recovery and effect of climbing programs on physical fitness. He has written a book about climbing with children and recently finished a book on physiological aspects of climbing performance. He is a member of Commission for competitive climbing under Czech Mountaineering Federation where he is responsible for performance diagnostic of national climbing team. Under the IRCRA (International Rock Climbing Association), he is developing testing battery for assessing climbing performance. Jiri is passionate climber and mountaineer. Jan Kodejska is a young researcher and a passionate climber in all disciplines (bouldering, sport climbing, trad climbing and mountaineering). He is a member of IRCRA (International Rock Climbing Research Association) and a PhD student at the Charles University in Prague. The topic of his research is: “Effect of cold water immersion on repeated isometric contractions”. Rianne van der Spek, MD-PhD student at University of Amsterdam, the Netherlands. Rianne is training to be a doctor and scientist in Amsterdam, follows the Diploma of Mountain Medicine in the UK, and represents the Netherlands (a tiny country with many climbers and no rock) in the medical committee of the UIAA. She enjoys making medical and scientific knowledge accessible for everyone by giving lectures, writing articles and organizing events like this Climbing Performance Seminar. Rianne will be available for any questions you may have! Michail is an Associated Professor at the National Sports Academy where he teaches Theory and Methodology of Sports Training. He is interested in scientific support in elite sport and has served at the Directorate of Control and Management of Sports Preparation, Ministry of Physical Education and Sports, Sofia Bulgaria. Michail is a member of the UIAA medical commission and is a dedicated researcher of rock climbing performance and physiology. He has a number of scientific articles on climbing and two books about sport training. Michail has the honor to assist the Bulgarian sport climbing team with sport-specific work capacity diagnostics and methodological advice. Recently he developed a new generation system for thorough and more useful assessment of climbers’ strength and muscular endurance. Michail’s dedication to investigate climbing can be explained with the fact that he is an enthusiastic climber with some rock climbing experience. He has climbed Trango Nameless Tower, Karakorum, Pakistan,1998 and has a first ascent on the unclimbed peak Levski (5733 m) in Khane Valley, Karakorum, Pakistan, 2012.